Paul has refused to accept gifts from the Corinthian church in order to avoid a patron/client relationship. Rather than patronage, Paul describes his relationship with Corinth as a parent and child (12:14b-15). In the Corinthian letters, Paul uses parent/child metaphors frequently, more than in any other of his letters. One reason for this is his desire to avoid patron/client language, but also because the family relationship reflects the body of Christ. If we are indeed new creations in Christ, then the image of brothers and sisters in Christ becomes the driving factor in our relationships with each other. Paul did not want to create a hierarchy in which he was the distant father figure who dispensed prestige and honor to his children, nor did he want the church to think Paul was a poor relative in need of assistance! The children are not required to “save up” for their parents. This is not the daily needs of children, but rather the family responsibility for building wealth to pass down to the children. In a Greco-Roman context, family name and wealth was extremely important. The father was responsible for creating wealth and prestige for the family and the family name. This wealth and prestige could then be passed down to the children with they were mature enough to contribute to the honor of the family. In fact, children were not able to contribute to the family honor until they were mature. Paul may be implying the role of the Corinthian church is to grow in maturity themselves! This is consistent with how Paul’s correspondence with the Corinthians began, they were still immature and not able to move on to the “deeper things.” In 1 Cor 4:14-15 Paul describes himself as a father to the church, even if thy have many other teachers. Within the metaphor, Paul is the patron/father figure who is doing everything he can to create an environment where the Corinthian children can grow to maturity and contribute to the family for themselves. Looking ahead to the next generation, they will “have children” and the church’s responsibility is to maintain and grow the wealth and honor of the family so they too can grow to maturity. Paul is willing to spend everything he has for the church because he loves them as his dear children. Paul sees his relationship with the church in terms of a family in which he is like a parent and the church are children. He does not want to accept patronage from the church because it changes the relationship and would give the Corinthian church certain privileges over Paul. This is a powerful image of the relationship of a pastor and congregation. While Paul does want churches to care for the needs of the people who serve in the church, his model for ministry is a caring parent who does everything to give the children want they need to succeed. Pastors who considered the local church their personal kingdom or use the church to enhance their own wealth and prestige have failed to follow the model Paul gives here in 2 Corinthians or the model of humble service demonstrated by Christ. Once of the main reasons Paul wrote 2 Corinthians is because he cancelled his plans to visit the church (1:15-2:4). Paul’s reasons for the change in plans was to spare the church. He was angry with them and knew the visit would be painful indeed. Instead of a visit, Paul wrote a “tearful letter” and sent Titus to deliver it to the church. His change in plans contributed to a rift between Paul and the church. Although the letter and Titus’s visit seems to have settled the church, Paul’s absence gave and opportunity for opponents of Paul make serious accusations against him. These “super-apostles” claimed higher authority than Paul primarily because Paul was not a polished orator and was always suffering some sort of calamity. They may have accused Paul of trying to extort money from the church by means of a collection for the poor saints in Jerusalem. Paul is forced into a foolish exercise of boasting in this weakness (11:1-12:13). Having concluded his boasting, and putting the claims of the “super-apostles” into perspective, Paul finishes the letter by telling the Corinthians he will visit them for a third time. Paul’s intention is to travel back to Corinth for a third time, but he does not intend to be a burden to the church. Paul did not accept support from the Corinthian church, and this seems to have been a source of some conflict with the congregation. He did accept financial support from Philippi, but directly refused support from Corinth. Paul has already said he does not intend to be a burden (2 Cor 11:9). The verb Paul uses (καταναρκάω) refers to being a “dead weight” so Paul might mean, “I do not want to take money from you if I am not going to work for it,” as if the church wanted to offer him a retainer fee for his services as an apostle! The background here is the patron/client relationship in the Roman world. If the church gave Paul gifts, then Paul has an obligation to the church. They are his patron, and he is their client. Paul wants to avoid the perception of patronage, so he refuses to take money from the Corinthians. If the Corinthian church gives Paul support, then they are his benefactors. They could potentially boast in their support of Paul in the way a Roman would boast in the any public benefaction. Since the Christians are not yet building churches, there is no way for a Gentile Christian to offer a gift to the church in a way that makes sense in their culture. If they were worshiping a particular god, they could offer to pay for a sacrifice or a new statue of the god or to improve the temple in some way. Naturally they would get “their name on the plaque” and everyone would know they had benefited the community in this way. There is nothing a Roman Christian can do to show his generosity to the church other than to contribute to the needs of the poor, and that is something which would not bring honor to a person in a Roman context. Really the only thing the church could do is to support Paul as his patron, a relationship Paul does not want to encourage at all! If this context is correct, then Paul’s refusal of patronage would be seen as a kind of insult, and likely a painful insult at that. If Paul is “their apostle” then he ought to be thrilled to receive a gift! Paul says he does not want their possessions, but a genuine relationship with them. The difficulty for a contemporary reading of Paul’s relationship with Corinth is that Paul does encourage paying those who minister. If a church as the need for one or more full-time staff members, it is important for the church to pay them appropriately. But can the pastor/congregation relationship devolve into a patron/client relationship? 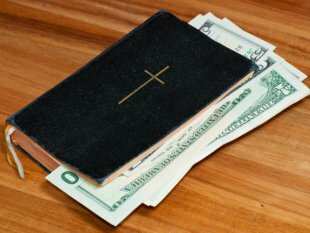 If a pastor puts a paycheck before the spiritual needs of his congregation, then there is a serious problem with the relationship with the church. Paul’s real “thorn in the flesh” identified at last…. The “thorn in the flesh” is directly related to Paul’s “great revelations.” This is not something Christians need to fear, Paul is unique in salvation history as the apostle to the Gentiles, and his visionary experience is unique as well. 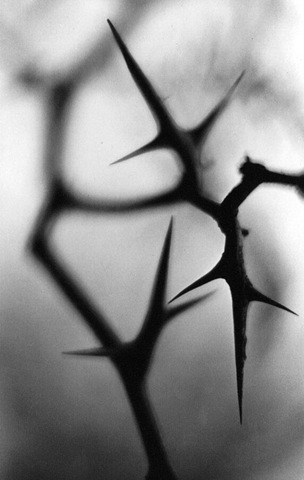 The “thorn” is a metaphor emphasizing the ongoing, painful nature of the oppression. The noun Paul uses (σκόλοψ) refers to any kind of splinter or thorn that works its way into the body, but the thorn is also called a “messenger of Satan” of “angel of Satan.” By describing the thorn this way, Paul may be referring to a person who was harassing him, continually causing him to suffer. This messenger “harasses” Paul. This verb (κολαφίζω) is a violent physical beating, the same word is used for Jesus’ beatings in Matt 26:67 and Mark 14:65. Since it is not clear what Paul means by this thorn, Christians have suggested the beatings are not physical. Suggestions include: hysteria, depression, headaches, severe eye trouble, malaria, leprosy, and even a speech impediment (See BDAG for scholars associated with each suggestion). If this is a physical illness, it could be a sign of God’s judgment; the opponent could use something like this to call into question everything Paul teaches! God allowed Paul to endure this suffering in order to keep him humble. This is an ongoing torment of some kind, since Paul prayed three times to have the thorn taken from him. The purpose of the thorn is to keep Paul from being exalted because of his visionary experience. The verb (ὑπεραίρω) refers to developing an “an undue sense of one’s self-importance” (BDAG). The thorn therefore was given to keep Paul from getting a big head about how important he is! The only response to this prayer given by the Lord is “My grace is sufficient for you, for my power is made perfect in weakness.” This is one of the most memorable verses in the New Testament and has helped many people through extremely difficult times. Like Paul, people who suffer physical or emotional torment consider this verse a great comfort since God’s grace is all they need. But notice it God’s grace does not guarantee Paul will be rescued from his thorn in the flesh! In fact, the comfort of this verse is that despite intense suffering, God’s grace is all Paul wants or needs! It is when Paul is weak the power of God is most clearly seen. If Paul were an elite orator or a well-trained sophist, or a prophet who has the most glorious of visions, then the success he had in Corinth would be all his; he would easily slip into the error the opponents are making and glorify himself. It is not that we ought to forego any preparation for ministry and only appoint the most unprepared people to serve; but when that preparation becomes a platform for boasting then the Lord is no longer glorified. Paul therefore concludes this chapter the same way he started in 2 Cor 13, boasting in his suffering all the more! What is Paul’s point by boasting in his suffering in 12:10? As he concluded after his catalog of suffering in chapter 11, Paul claims his suffering proves he is a true apostle (and the “super apostles are not). As Barrett concludes, “The real point is that the requirement of self-sacrifice … marks out the true apostle from the false” (284-5). The pastor who works two jobs to serve a small country church is nearer to Paul’s model, his imitation of Christ, than a pastor who asks for 65 million for a private jet. Would a Mega-Church pastor give up his wealth to care for a small inner city congregations for little or no money at all? Jesus gave up everything, as did Paul; but Paul’s opponents would not. What makes them spiritual leaders is their wealth and prestige, the exact opposite of Paul’s point here in 2 Corinithians. McKeown, James. Ruth. Two Horizons Old Testament Commentary. Grand Rapids, Mich.: Eerdmans, 2015. 152 pp. Pb; $22. Link to Eerdmans and an interview with McKeown at EerdWorld. James McKeown wrote the Genesis commentary in the Two Horizons series. This new volume on Ruth attempts to follow a similar method for reading a biblical book canonically and theologically. He begins with a short twelve-page introduction to the book of Ruth, although the bulk of the introduction is a summary of the plot of the book. Since the goal of the commentary is a theological reading of the book of Ruth, some of the more technical critical questions are unimportant. It is possible the book dates as early as the time of David and intended to explain his Moabite roots, or as late as the time of Ezra-Nehemiah as a more sympathetic view of foreign women. McKeown is inclined to see the purpose of the book as ambiguous, although this does not limit the theological significance of Ruth. The commentary proper moves through the book by pericopae. Although McKeown occasionally comments on the Hebrew text, the primary focus of the commentary is on the story of Ruth in English (p. 1). He sometimes compares several English translations, especially for some of the difficult idiomatic phrases in the book, such as the blessing formula in 4:11. In several sections it is necessary to explain customs of the Ancient Near East, such as the exchange of sandals on Ruth 4:7-8. McKeown interacts with secondary literature on Ruth, but most of this material is in the footnotes. This makes for a very readable commentary, useful for both scholar and layman. The main feature of the Two Horizons series of the series is the theological interpretation of Scripture. In this commentary there are two chapters dedicated to biblical theology, about half the book. In “Theological Horizons” McKeown examines Ruth’s canonical connections. Although Ruth follows Proverbs in the Hebrew Bible, McKeown is not interested in the juxtaposition of Ruth and the “Woman of Valor” (Proverbs 31:10-31). I find this somewhat remarkable since the Hebrew canon is the original order. If canonical placement is important, I would prefer to see Ruth read as an example of Wisdom Literature, perhaps juxtaposing it with its canonical partners, the final chapter of Proverbs and the Song of Solomon. Rather than use the Hebrew canon, McKeown points out that in the Septuagint, Ruth appears between Judges and Samuel. Ruth therefore functioned as a kind of bridge between these two books. Following the work of Yizhak Berger, McKeown explores the theme of offspring, land and blessing in Ruth and Genesis. Most commentators use Deuteronomy to illuminate the practice of gleaning or the Levirate marriage, but McKeown argues Ruth illustrates how Israel might show love to the foreigner (Deut 10:17-19). But Ruth also draws into question the exclusion of Moabites from the assembly of the Lord (Deut 23:3-6). Ruth is also canonically related to Judges and serves as a canonical link between Judges and Samuel. While the Judges are sometimes called “men of valor” (אִ֣ישׁ חָ֑יִל Judg 3:29; 20:44), Ruth is a “woman of valor” (אֵ֥שֶׁת חַ֖יִל, Ruth 3:11). Ruth is a righteous person in a dark age of violence. But the book of Ruth also looks forward to the time of David, a Moabite descendant who enters a levirate marriage with Abigail. Several parallels between Ruth the story of David can be made, but it is not clear to me how this relationship works. This is a problem for all inner-canonical studies since it is almost impossible to prove which direction the influence goes. Did the author of Ruth tell the story with knowledge of David’s relationship with Abigail, or vice versa? On the one hand, this is unknowable, but on the other hand, it might not matter for this kind of theological reading of the book of Ruth. On a literary level, two texts are being compared in order to develop a theological reading. Historical critical questions of sources and dependence are of little consequence when using this hermeneutical method. The final section of the book, “Theological Issues, Themes and Approaches,” creates a short biblical theology based on Ruth. McKeown demonstrates how Ruth views God as the sovereign creator who provides for his people. God’s providential hand is seen throughout the book, although he appears to be hidden from the characters in the story. It is Naomi’s experience which makes this theme clear and shows the hiddenness of God should not be mistaken for the absence of God (p. 116). Since the theme of Land is important throughout the Hebrew Bible, it is no surprise to find Ruth highlighting the idea of God as the giver of land to his people. If God has given land to his people, they are responsible for using it ethically, as Boaz’s treatment of the poor widow Ruth demonstrates. Perhaps the most important theme of Ruth is redemption, and McKeown adds to this the theme of universalism. God will redeem all people. Redemption looks back at the original Exodus, but also forward to the ultimate redemption planned by the sovereign God. While property or a person may be redeemed according to the Law, the broader context of the Canon uses legal redemption as a metaphor for salvation, especially in Job and Psalms. McKeown points out how the theme of redemption extends to the New Testament and salvation through Jesus Christ. Perhaps what is surprising from an Old Testament perspective is redemption will include foreigners, even Moabite women! McKeown includes a section in this chapter surveying Feminist studies of Ruth. Since it is a book focused on the activities of two women, Ruth has attracted a great deal of attention from feminist biblical scholars. Taking Naomi’s advice to Ruth to return to “her mother’s house” (2:8) as a hint of authorship, Carol Meyers suggested the book may have been written by a woman (p.134). McKeown does not comment on the suggestion, but unlike other critical issues, this observation would have an important hermeneutical impact on a commentary on Ruth. Conclusion. Like other contributions to the Two Horizons Commentary series, McKeown delivers a canonical and theological reading of the book of Ruth which will stimulate anyone studying the book of Ruth. The June 2015 Biblical Studies Carnival will be hosted by William A. Ross, so if you have any suggested links for significant blog posts related to biblical or theological studies, feel free to send them his way (williamross27 at gmail dot com). 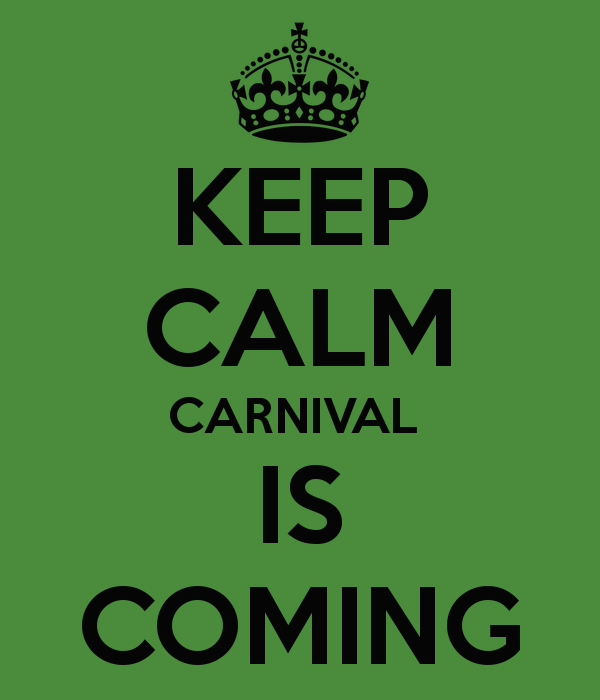 The July 2015 Carnival will be hosted by Lindsay Kennedy (@digitalseminary) at My Digital Seminary, and Bob MacDonald (@drmacdonald) is hosting in August. The rest of the year is more or less open. Please email me (plong42 at gmail.com) and pick your month! Carnivals are a great way to attract attention to your site if you are new blogger, but more importantly it gives you a chance to highlight the best and the brightest in the world of bibliblogs. Paul says he was caught up to the third heaven and receive revelations of “surpassing greatness.” Paul reports this vision in a way consistent with other visions of heaven in the literature of the Second Temple period. Like other prophets, Paul is “caught up” into the third heaven. He uses the same verb as 1 Thess 4:17, ἁρπάζω. This word has the sense of being snatched away and appears in the LXX in Gen In both cases the verb is passive, as expected in a vision report. In 1 Enoch 39:3 a whirlwind catches the prophet up and takes him into the “ultimate ends of heaven” where he sees the dwelling places of the holy ones. 2 Enoch 8.1-3 And those men took me from there, and they brought me up to the third heaven, and set me down there. Then I looked downward, and I saw Paradise. And that place is inconceivably pleasant. And I saw the trees in full flower. And their fruits were ripe and pleasant-smelling, with every food in yield and giving off profusely a pleasant fragrance. 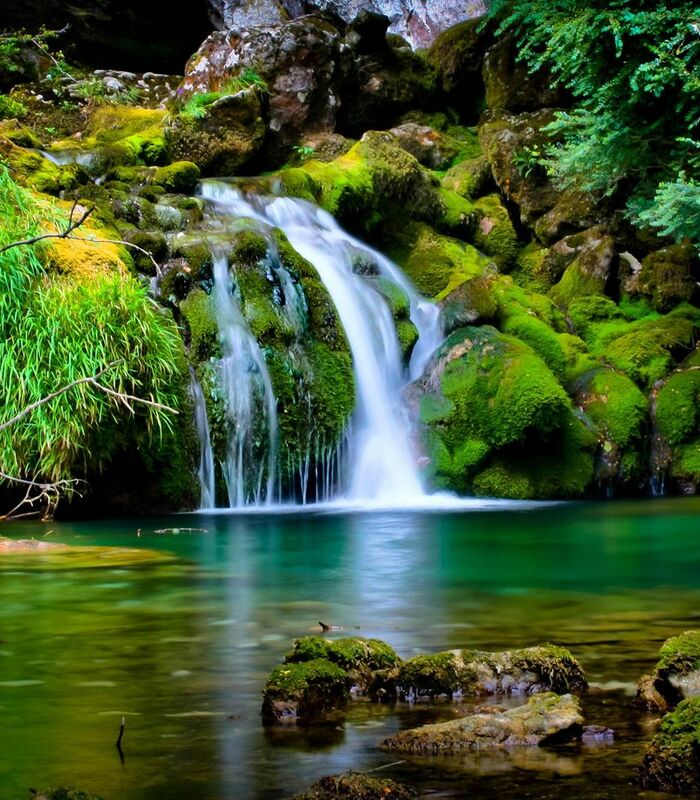 And in the midst (of them was) the tree of life, at that place where the LORD takes a rest when he goes into paradise. And that tree is indescribable for pleasantness and fine fragrance, and more beautiful than any (other) created thing that exists. In Paul’s vision, he heard “inexpressible words” (ἄρρητα ῥήματα). This may mean they cannot be spoken in human language (something like Spock’s real name?). But this might mean Paul was not given permission to report what he heard while he was in heaven. This second option is a common feature of heavenly vision reports, some things are so great the seer holds them back from people who are not ready to hear them. In Daniel 12:4 the prophet is told to “seal up the prophecy” and Revelation 14:3 John hears seven thunders but is not permitted to report what they said. Even though Paul has had a visionary experience on a par with his opponents in Corinth, he chose not to mention it since it has no value for the church at all! Why should he boast in some spiritual experience they can never have? What spiritual benefit could possibly come from Paul telling them the details of the vision?